Ya know how when you see my dining room, you’ve never really seen the cushions on the chairs? You may have seen a shot of the side of the chair seat, but not the whole thing. They were gross. Way gross and way past their makeover due date. But I have a two year old, so I didn’t really want to re-upholster them and have her destroy them again in 2.0 seconds. I looked longingly at fabric swatches, impatiently waiting for the day when my dining room chairs could shine once more. One day, I happened upon the tool that would make them shine – without worrying about stains. I discovered how to waterproof and repel stains on fabric. Disclosure: This post is sponsored by Thompson’s Waterseal. However, all gross seat cushions and opinions are 100% mine. Online Fabric Store also provided me with the fabric for this project. This post contains affiliate links for your shopping convenience. Click here to read my full disclosure policy. This could quite possibly be one of the easiest, yet most valuable DIY projects of all time. For me and my circus of a two year old anyway. Ugh. I purposefully did not zoom in – because well, its just gross. You could probably discern between spaghetti sauce, mustard, and / or ketchup and who knows what else. It was bad. Oh, and don’t worry about that brightly colored striped towel below the chair – its nothing new – just the catchall that sits under the kid’s chair when she loses her food. First off, you want to pick out pretty new fabric for your seats. 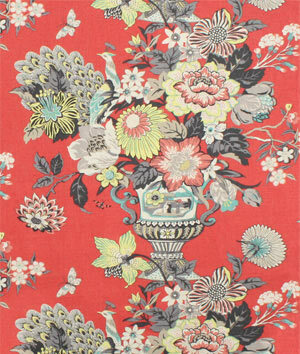 I chose this gorgeous Williamsburg Portobello Vase Ladybug fabric from Online Fabric Store. I fell for it the moment I saw it. Its a reproduction of fabric from the real Williamsburg, so if you have a nerdy of love of history like me, that’s kinda cool. It also has so many colors that it can work with just about anything. Measure and cut out the fabric you will need. I took the seats off my chairs, then laid it on the fabric and cut around it leaving extra to go over the edges. Lay all your fabric pieces out on a clean surface. I used a tarp. Give each piece a coat of Thompson’s WaterSeal FabricSeal. You may want to do a test spray on a small piece of fabric first to make sure it doesn’t change the color. (Mine was fine – no color change.) You are spraying this on the RIGHT side up of the fabric – not on the back. 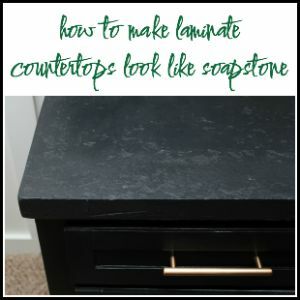 You don’t want to saturate the pieces – just give them a nice even coat. Let them dry for four hours, then give each piece another coat. Let them dry for four more hours, but wait 24 hours before exposing to moisture. Before you put them back on your seat cushions or make it into a pillow or whatever, you can test the seal by flipping some water on the fabric. See those little bubbles of water? That mean’s the fabric is sealed. If it wasn’t sealed, the water would have seeped into the fabric. If the water doesn’t “bubble,” give the fabric another coat. It took almost two cans for me to seal 6 pieces of large sized square cut pieces of fabric. I am so happy to finally have pretty dining room chairs again. After I re-upholstered my cushions, I tested out the stain and spill repellent-ness of the Fabric Seal. I took Coke and poured a little on one of the cushions. I zoomed in so you could see the bubbling – it repelled the liquid! Not a stain in sight! **Thompson’s does recommend that you reapply the seal after any cleanings and annually. You can find Thompson’s WaterSeal FabricSeal on Amazon. What will you waterproof and stainproof? How to Clean Really Gross Vinyl Upholstery – the grime just melts off! How to Get Pet Stains and Odors Out of Your Carpet Naturally – no harsh chemicals! 50+ Home Decor Fabrics under $15 a yard – gorgeous fabrics at low prices! I will have to be on the lookout for the Thompson’s product… I have a dog who thinks he owns the place and I am washing the sofa cover constantly! Thanks for sharing! We also have gross dining room seat cushions on our craigslist chairs. I think the padding is from 1972. I’ve put off re-padding and reupholstering because we also have an almost 2 year old. Her seat is obviously the worst. I’ve been playing with oilcloth or covering with clear vinyl, but hubs hates both of those ideas. Even just doing her chair, he hates. THIS, though. This is my answer!! 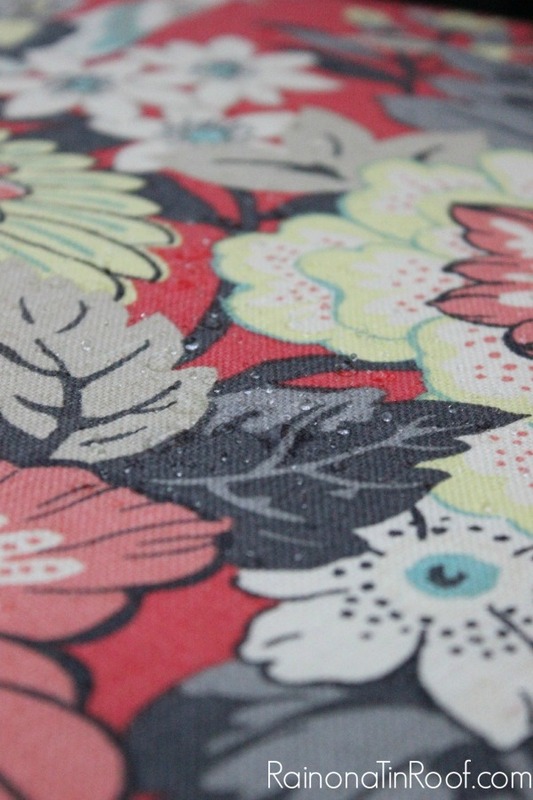 One question…and this might be silly…did you spray the right or wrong side of the fabric? I’m assuming right, but wanted to check. Thanks for the amazing tip! Yes – Fara, this would work! I sprayed the RIGHT side of the fabric – that is a great question – I should have put that in the post – I’ll have to go back and add that! Thanks! Sweetheart, will this work on automotive upholstery as well? If so, I need to treat my Ford F150’s seats? Love You! Dad. I don’t see why it wouldn’t, Dad! Give it a try. Just test a small spot first to make sure it doesn’t discolor it! lol…u even got your dad posting….how sweet…my question is did you try on stains that you don’t catch right away…like someone spills coke and you don’t see it for days then you pull out the chair and see it…will it just eventually sink in with this product…? i have been thinking of that product flex all in clear because my cat will lay sometimes and pee so i wanted something that didn’t sink into the material after time that i would smell it and find it and still be beaded on the surface….but haven’t found anything like this yet…do you think this product would keep the fluid beaded for at least an hour or so? He’s something, Kiley! So, I can’t say for sure on this question. I haven’t ran into this situation with the things I’ve used this on yet. Jenna, the chairs look fabulous! What a great product. I love your fabric too. I live about 20 minutes from the real Williamsburg as you call it…lol…we love the area although we don’t visit the historic area unless we have out of town guests. Par for the course when you live so close…hope you get to visit one day. That is awesome, Sheila! I want to go so badly! My husband went with his parents when he was young and of course, he hated it at that time, so he’s not up for going yet. It may be a solo trip for me one day! What a cool idea! I didn’t know this was possible but I’ll have to try it! Thanks for sharing! 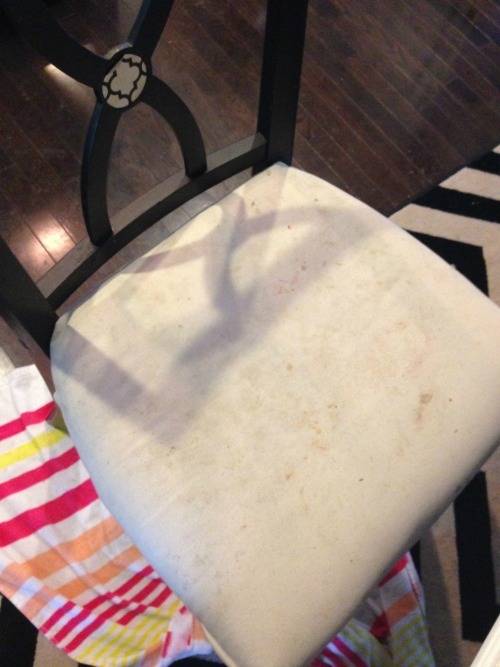 I recovered my dining room chairs last year and they are already stained from dinner parties. So wish I had done this before I did the project. But… I bet it’s not too late! I just recovered 3 barstool seats with fabric. Do you think I can just spray this on them while the fabric is still attached to the seat and stool? Elizabeth, you could definitely do it that way. I actually did that with small cushions on my barstools. The only reason I sprayed the fabric before it was on the seat this time was because I was going to re-upholster them. So thankful for this tip. I reupholstered our breakfast nook benches and they are already soiled with syrup, ketchup, etc etc. After a good scrubbing I’ll have to try this out. Oh.my.word. I have no words. Okay, I have a few. I want some of that badly! That’s just amazing! Love the fabric too! Hey girl! 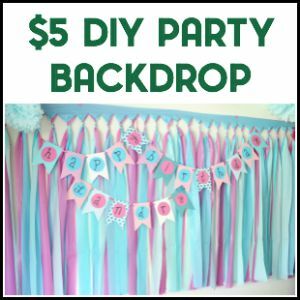 I think that this would work on burlap – I do think I would give it a couple more coats than regular fabric though, just because burlap is a little more rough and thicker. 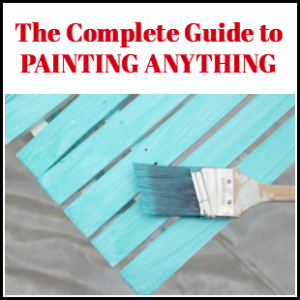 You can buy it at Lowe’s or on Amazon – I included a link to it in the post! Hope this helps! As followup to person using on burlap. I recently made red burlap placemats and planned to use on white tablecloths this Christmas. Did not consider at time the red would bleed unto the white tablecloths when wet. Do you think this ould “seal” the red burlap if I sprayed on both sides? The lint has left small red stains on everything they have touched…. Thanks for the info. I have indoor/outdoor in a bright, summery pattern to brighten up the space and to keep it that way! Between dogs whose people we are (hubs calls them his grands because our daughter hasn’t had a child yet), he really goes too far. Hoping this fabric will accomplish the same. I have Scotch guard water-repellent for fabric for other fabric. I’ve never come across the Thompson product. Good to know Came from Fabulously Creative. 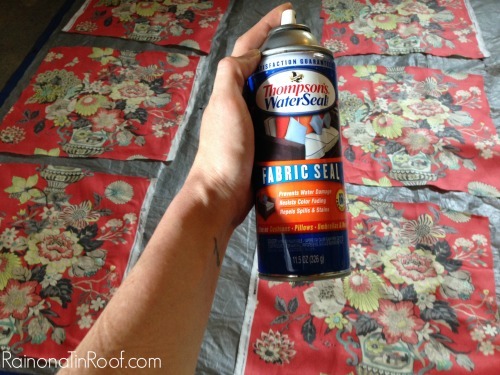 That fabric is GORGEOUS and the waterseal is a great idea! 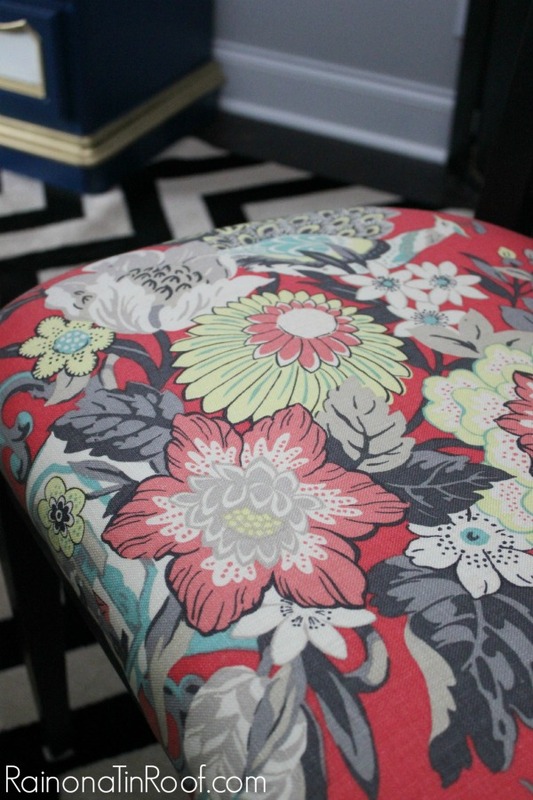 I’m about to reupholster some kitchen chairs (I’ve been “about to” for a year now, of course…. 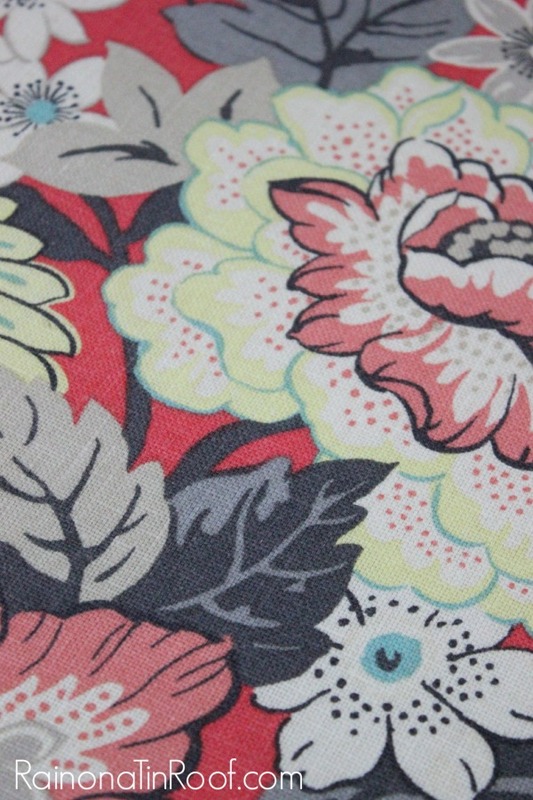 )….I was thinking of oilcloth, but I might look into this (and whatever fabric I want!) instead. I am ridiculously in love with that fabric, Gretchen. Of course that love then multiplies because it is protected!!! Nope, Caren it doesn’t feel scratchy at all. Honestly, I couldn’t even tell difference in how it felt! I don’t often do projects involving fabric, but I did re-upholster some barstools over the winter, and I was wondering what I could do to protect the new fabric. and like that ba-zow! thanks, Jenna. I’m thrilled to have helped you out, JB! Thank you! I am so going to do this!! I bet it would work on outdoor cushions too! Genius! Is this kinda like the old standby, Scotchguard, only better? I used that years ago. Used to, at a local furniture store, you could pay more for your upholstered pieces of furniture and they would spray it with that….they probably made a fortune, however, I haven’t heard it mentioned in a long time. So maybe this Thompson’s product is similar to the old stuff, but on steroids? Went to leather furniture in family room due to 4 grandson’s….so there’s hope someday for a nice fabric! I think it is similar to Scotchgard, Sonya. However, I have never used Scotchguard, so I can’t be certain! …you may have just saved my life 🙂 I was at the point of considering painting polycrilic on fabric. I had no idea this stuff existed! I could kiss you! Drop that can of Polycrylic! This is SO much easier! Do you know if this would work for micro fiber/ micro suede? We have a 3 & 5 yo. Thanks! I’m not 100% sure that it would work, Becca. The can says not to use on suede or delicate leathers. Obviously, microfiber is a little different than suede though. If you wanted to, you could try it out on a small inconspicuous piece of the fabric before doing the whole thing. Oh the other day I reupholstered my dining bench and I wanted to apply something I similar but I was in a hurry and I couldn’t wait to buy. Do you think I can apply it now after the fabric is already on the chairs?? Rasha, you can definitely apply it after the fabric is on the chairs – I’ve done it with things that are already upholstered! Just follow the directions on the can! 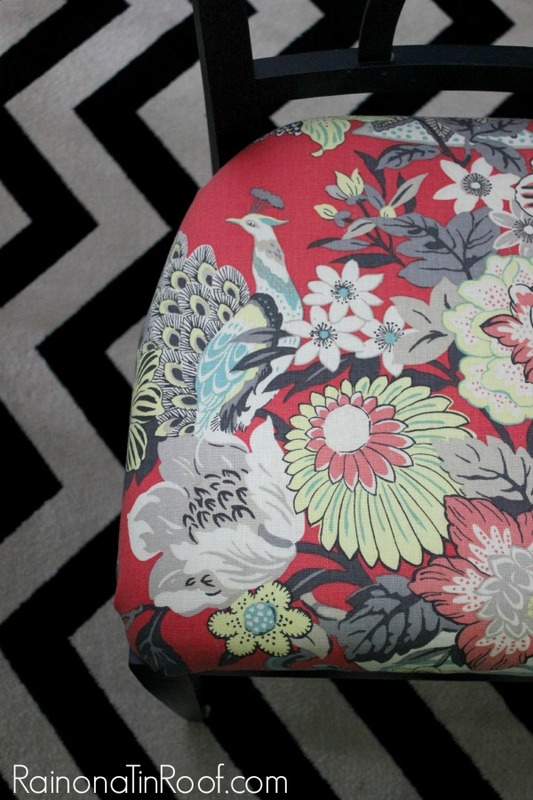 Jenna, love, love, love the fabric choice for the chairs! 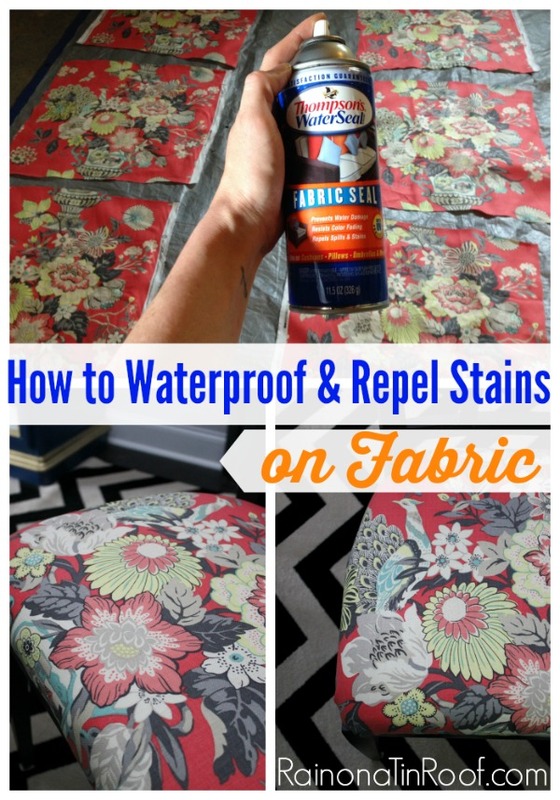 What a great idea to stain repel the chairs! I am going to have to do this for my chairs as well! Thanks, Jessica! I LOVE that fabric too! One of my faves! I’m in the process of recovering my nasty little kitchen chairs as well. I actually ordered some fabric that is for indoor/outdoor “supposedly” stain proof. I wonder if I should also spray this on for a double coat of armor?!? Any suggestions? Hi Dana!! I don’t think it would hurt it! Love your site. Lots of great ideas. This product seems better than scotch guard. One question I have about the product. Does it feel sticky to sit on at all? Sometimes, in certain environments, scotch guard feels sticky – at least to me when wearing shorts. That hasn’t happened with me, Ana. I have done this to my upholstery on my dining room chairs and on outdoor pillows and neither has felt that way! Hope that helps! Could this be used on the back of fabric intended to be used as a shower curtain and therefore eliminating the plastic liner? I’m not sure, Madison. I haven’t tried it for that..
I’m just seeing this post! Just bought a nice rug, and wondering if it could work on it???? The dog some times will tinkle on stuff….. I want to spray a burlap flag to make it weather proof. 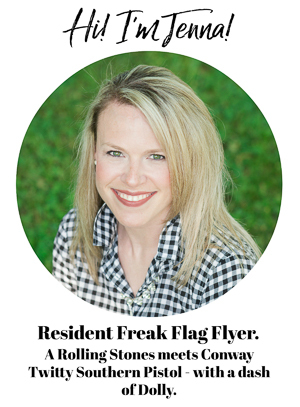 But I need to use heat transfer vinyl on the burlap flag. 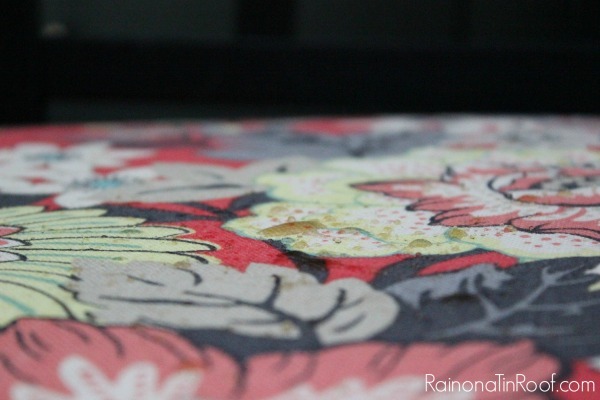 Will the water sealer burn in my heat press? I’m not sure, Joanne. I haven’t used this with anything like this before. I’m sorry I’m not more help! I am wanting to use this product on my newly recovered kitchen chairs. It says on instructions to test for color fastness and if color rubs off on white cloth not to use. I did this test and color did rub off. My question is, do you know what would happen to my fabric if I went ahead and used it anyway?? You can’t tell any difference in the fabric after spraying it the little bit I did to test it. Even though some color rubbed off you can’t tell by looking at it. I guess my thinking is that after it is sprayed it is kind of sealed and should be safe anyway… Just wondering if you did the test or not and what your thoughts were after using this product. Thank you!! Hi Katrina. I did the test and didn’t have any color that rubbed off. Maybe you could try it on one chair first and see what happens after it’s dry? Where did you purchase the sealer? I think you can get it on Amazon, Abi. There should be a link in this post. Is it still holding up? Have you resprayed? Hi Vanessa. So far, it’s still holding up. I haven’t resprayed it. Hi there! Loved your tip about the Thompson’s Water Seal. I want to make a set of Christmas placemats for my new daughter-in-law. BUT…..I would like to have her be able to put them into the washing machine after heavy use. Do you think they would wash OK? And would another coat of sealer be required in order to use them again after washing?? I’m not sure on that, Karen. I think they would wash ok, but then I do think they might need another coat. Sorry, I’m not much help on this one. You might could read all the details about the product in the link provided and see what it says. Could this be used on canvas drop cloth curtains which i am making for my patio to prevent mildew? I think it could be, Gloria. I haven’t tried it on canvas drop cloth before, but I don’t see why it wouldn’t work. Just do a test patch on a spot first before doing the whole thing. Dang girl- I have that same pattern!!! I’ve had it for over 2 years with plans to make into pillows. I actually bought it in Williamsburg! Darn it! I REALLY could have used this when my husband convinced me that we needed leather dining chairs instead of fabric because of the kids. This would have been great ammunition against the leather. C’est la vie! Oh man! Yep, would have been good stuff to know, Michelle! Sorry! I’m recovering cushions on the furniture in my screened porch and the only thing I find I like is for indoor use. Do you think I could use this to protect the fabric for my porch? Yep, Ann, that’s what I would do! Hello! I am going to glue a piece of fabric to dresser drawers and the fabric is tone-on-tone, with the background being very low sheen and the leaves being high sheen. I’m wondering if Thompson’s would prevent possible dirty finger marks or would they be able to be wiped off? Also would Thompson’s change the high sheen leaves to dull? Thank you! What a great blog! Hi Lisa! Do you have a scrap of fabric you could test it on before putting it on the dresser? I would try that first and see how it works out as I haven’t tried the water seal product with this kind of project before. Just wondering how it changes the feel of the fabric? And if there is any rubbing off onto clothes when sitting on them? It didn’t change the feel of our fabric, nor did it rubs off on clothing. I think you could, just try to tape off around the woodwork on the chairs. I have some cool Americana cloth napkins to use in the picnic basket for Shakespeare in the park this summer…but don’t want them ruined after the first use. Hi Diane. I’m not sure if this product would work or not. I have only used it on cotton type upholstery, not faux leather like material.